For most people, the fear of going to jail is their first concern. In the Detroit area, there is only one Judge in one court who puts a 1st offender in jail. If your case is another court, then you’re safe. The likelihood of a more lenient term of probation rather than one that has you wrapped up in all kinds of classes, counseling and testing begins with where your case is pending. Some courts are just plain “easier” than others. The same holds true for fines and costs; the very same charge can cost hundreds of dollars more in one court than it would will in the next one over. No matter what you’re looking at or for in a DUI case, the issue of where it’s being decided is of primary importance. Oakland County is generally perceived as the “toughest.” Note that I used the word, “perceived,” because Oakland County usually leads the pack in trying new things, as well, although it doesn’t get nearly as much credit for being an early adopter as it does for being tough. At the end of the day, though, you can expect a more demanding probation if your case happens to be in any court in Oakland. Macomb County is, as a general rule, a bit more lenient than Oakland County, but overall, its courts are closing the gap. Testing as a condition of bond, pretty much ubiquitous in Oakland County, is now par for the course in Macomb County, as well. Macomb County courts are rather unique in that there is a consistency amongst the Judges, meaning that the difference between them isn’t particularly vast. Thankfully, even tempers reign supreme here. Wayne County is, on average, more lenient than its northern counterparts, but there are very conservative courts here that stand as a counterbalance to some that are comparatively easier. There are no unpleasant surprises among the Wayne County Judges. While it is not my intention for this article to delve into individual courts, I would be remiss if I didn’t note that I encountered one of the most considered and intelligent approaches to DUI cases I have ever seen in Plymouth-Canton’s 35th district court sobriety court, and I say that not just as a DUI lawyer, but as someone who has completed an entire clinical, post-graduate addiction studies program. Beyond these generalizations, you’ll just have to discuss things with your lawyer. It should be obvious that any lawyer you consider for a DUI should know all of this stuff rather well. If not, then you should seek help elsewhere. Look, the reality is that every dentist has his or her first filling, every surgeon makes his or her first incision, and every airline pilot has his or her first landing, but when it comes to your DUI case, it’s not the time to be paying somebody’s tuition. If you’re going to pay for anything, it better be the kind of experience that means your lawyer has been in front of any particular Judge enough times to know about his or her disposition and how it compares to other local jurists. The lawyer you hire better know what flies and what doesn’t with your specific Judge, or else you’re flying blind. This, of course, is why I limit where I go for DUI cases. Beyond just “knowing” about any particular Judge, it matters when your lawyer knows enough to caution you against saying the “wrong” thing in front of a particular Judge. “Knowing” a Judge means knowing what sets him or her off. When all is said and done, I’d rather have been represented by a mediocre lawyer who was all plain vanilla than some real sharpie who just happened to anger (or allowed me to say something that angered) the Judge. 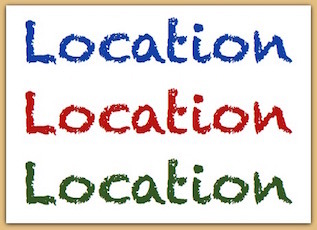 The bottom line here is that location matters. For everything I can say, and all the things I didn’t, if you or someone you care about is facing a DUI and you’re looking to hire a lawyer, you can get my take on your situation by calling my office. We’re here to help, Monday through Friday, from 8:30 a.m. until 5:00 p.m., and can be reached at 586-465-1980.